OH MY – If I had a dollar for every time I have had to have this convo. I read an article once that really sums it all up – it’s a great read & will give you some excellent talking points when this topic comes up again. I now can’t find it- but I’ll send it over when I do. I did not know you guys homeschooled, Gina. How old are your kids now? Awesome! Thank you so much for sharing. Off to read! There are good points and bad. My concern would be if the parents feel they are qualified at different ages to instruct their child . After all you can potty train them but not feel qualified to teach the necessiary skills that would advance them to the level of PHD. Parents should teach life skills and be happy they have teachers to assist in giving a well rounded life. With all due respect Judy, I could not disagree with you more. I am qualified to teach my child how to go potty and I am also qualified to teach my children necessary skills for advancement like how to read, how to add, how to determine a hypothesis, how to love the Lord and more! It is my role to teach life skills and beyond. I cannot rely on others to give them a well rounded life. This is my responsibility. I have seen the product of what society sees as well rounded and it is NOT for me or my family. The first year we homeschooled I learned more about world history than I ever did during my entire school career. I was amazed with every page we turned. Are you aware that our children’s history books are being rewritten? The companies who write school curricula are some of the biggest lobbyists in DC and at our state capitals. Pick up a history book in many public school classrooms and compare it to what we learned 20, 30, 40 and 50 years ago. And then compare it to what I have the freedom to teach my child. We are going against the stream. In nature, dead fish go with the flow- it is the salmon that swims against the current. We want more for our family and believe with the guidance and influence of those who are invested for a lifetime, we will raise well rounded and very well educated boys. I know that everyone will not agree, and maybe you still disagree, but the good news is we both have the ability to choose what is best for our families. Thank you so much for not giving in to what the majority says we should do in life. Or what is called “normal”. I want to homeschool my granddaughter. She will be two this year in April. I have been working on gathering information about homeschooling so that I can have a head start on what to do and when. I have very strong opinions on public school. 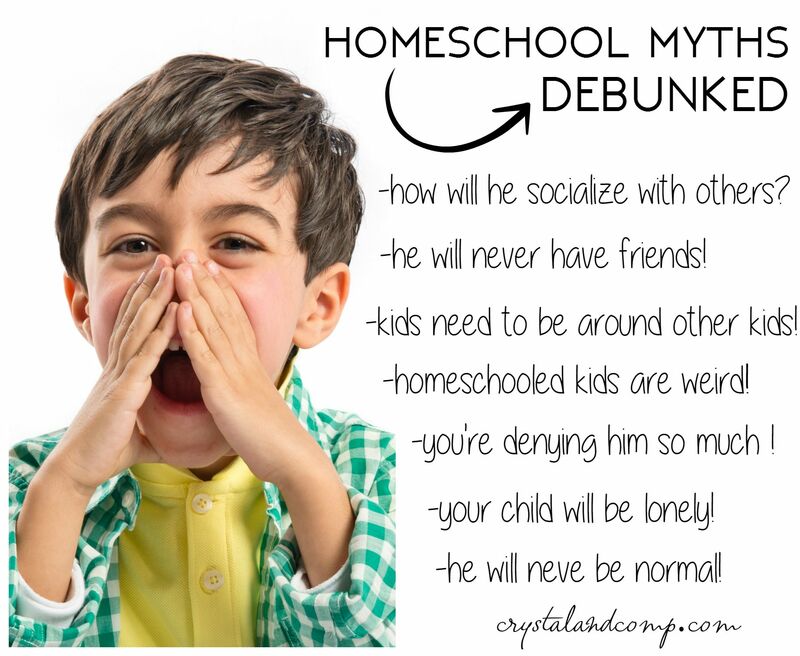 Even if the “socialization” wasn’t an issue with those against homeschooling, if people would really stop and think about it, besides the basic reading, writing and math, kids really don’t learn much else. Kids learn nothing about everyday living and survival. A high school graduate can’t even balance a check book or how to file their taxes, or how important it is to set goals and to have a retirement plan etc. And the most important of all, the world is teaching our children that our Lord Jesus Christ is unacceptable! !!! So if the Lord is willing, I will be homeschooling my granddaughter! !!! I haven’t had a chance to browse around your site yet, but I would love any information that you have on starting out with homeschooling. Thank you so much and God bless! !!! Great post, Crystal! I never even thought of this angle. I just always wonder if people who think that homeschooled children are not socialized, if they think public school children are socialized? Some of them are and some of them are not. With all the bullying that goes on, it makes it difficult for many children to become socialized and we really think that other children help our children become better human beings and productive members of society better than we, their parents, can? Lori, I am so glad I could share this perspective. It really hits close to home for me. It is the never ending question asked it seems and I just wonder if people really hear what they’re saying. I wonder if they really see what is going on in schools. I wonder if they ask the question because it has been ingrained in their mind. You are only encouraged to talk in school at appropriate times- appropriate times are defined at the teacher’s discretion. Add to this the type of socializing, bullying, bad influences, etc., and I do not want that kind of socializing for my kids. I want people to understand that school is NOT about socializing. It’s not. And lack of socialization is not about where you are educated. BEAUTIFULLY WRITTEN Crystal!! It is by far the most asked question for us. Our daughter is one of the most mature 11 year olds I have met. I truly believe it is because she is surrounded by positive experiences with all types of people throughout each day. Thank you Sherri. It is a topic I feel like I am talking about often in real life and figured it really needed to be shared. As a 15 year old home schooled youth I am more then delighted to have stumbled across this post. My mum constantly reminds me to be confident as a home schooled teen and I am, sometimes it is lovely to understand a parent’s perspective on home schooling and not just how the child sees it. Over the past few days I have found myself to be incredibly grateful for the opportunity I have, I am able to persist in being a loving person and learn as I wish. I never knew I had so much love in me. I always am bombarded by the question of how do you socialize, but my mother and I just smile to each other and know to be patient and truthful with answers. Thank you for this post Crystal and I am excited to read many more of your posts! May I also just say your bog is very beautifully designed. Wow, what an eye opening post. I’ve been wanting to homeschool but my husband and I are not 100% both on the same page. It is so true with when and where kids are permitted to talk. We recently had an experience with just this a few weeks ago at my sons elementary school. The lunch lady said the children were too loud and needed to be in assigned seats. The children were now sitting with other kids they may not have normally chose to sit next to. During parent teacher conference my husband and I spoke to the teacher about this and thankfully the assigned seating rule was dismissed and the children can once again sit with their friends. I’ve never really thought about how children cannot socialize at school the way we think they can. Like I said your post is a real eye opener and one I will certainly be sharing with my husband too. Thanks for sharing this on our FB share day and I will be pinning and resharing! What a beautifully written article about a topic that any homeschooling family knows all too well! 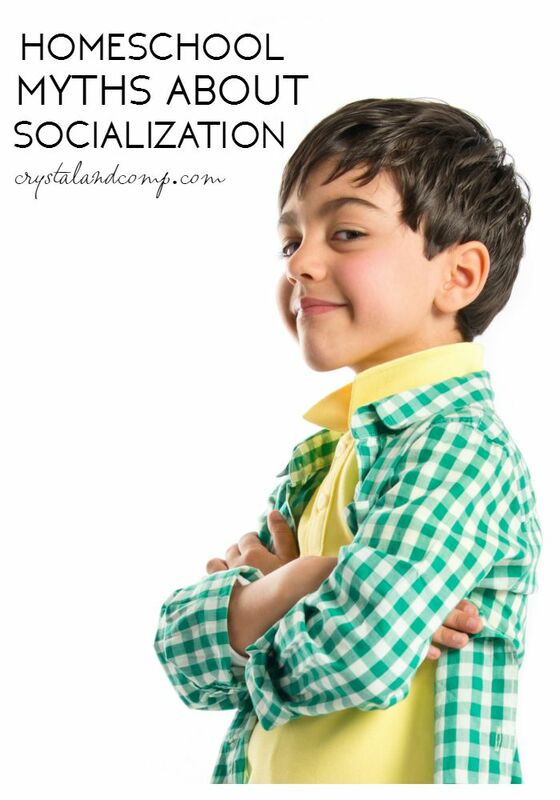 My children have more socialization opportunities in any given day that they would in a brick and mortar classroom setting because I do have the luxury of taking our lessons on the go out into the community and having more hands-on learning opportunities through field trips and daily interactions. In regards to the comment on this post, no one knows your children or you family better than you do. I feel that homeschooling is a lifestyle and mindset for everyone involved. Just like anything in life the more you pour into it the more you and those around you will get out of it. Homeschooling is not for everyone for various reasons but I do firmly believe that people should not be shamed, spoken down to, or told that they are unqualified to teach their children. Judging others for the decisions that they feel are right for their family without all of the information behind your opinion is a very slippery and dangerous slope. For example, I have very gifted children who genetically have disabilities. If they were placed in the public school system or even the private school system they would automatically be placed in a special education class where they would not receive their education in a manner like they want and need which would then hold back their learning (and this was told to me point blank by several different special education teachers). Many homeschooling parents have college degrees or certain life experience that they bring to the table making them more than qualified to teach their children in a one on one setting. In many schools children are struggling and it is not due to the qualifications of the teachers (they are many fantastic teachers out there with a passion to teach our youth) but rather the fact that they do not have the support they need financially and otherwise in order to meet the necessary benchmarks and demands of every single student. I might not be the best choice to teach in a classroom setting, but I am more than qualified to teach my children their lessons, how to be a positive influence on society, how to respect others, and how to bee happy genuinely being themselves. All to often children are taught conformity is required versus individuality being encouraged and that is not socialization. I’ve always thought the whole socialization thing was nuts. How many of us were “socialized” in school anyway? Before I entered grade school, my mother made sure I made friends among the neighborhood kids. I was the kind of child who preferred to play alone anyway, so it didn’t matter much. I would have so much preferred homeschooling to the horrible grammar school I went to. Loved your post. Thanks! 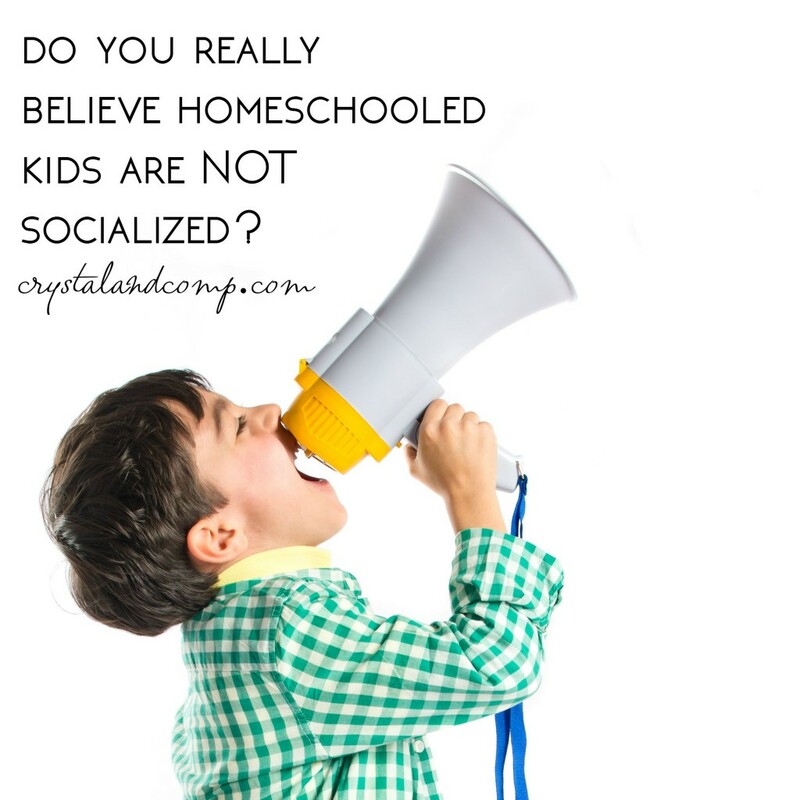 I was that one weird home schooled kids who WAS not socialized and so far my experience with my 2 children in public school has been positive. They are allowed to talk to each other and communicate responsibly. Public school has some positives and negatives. Home school has some positives and negatives. I am glad there is a choice for both right now. This is a very well-written argument showing just how much socializing our kids obtain while being homeschooled versus public school. My kids can talk to anyone from birth to elderly adults who have lost their voice and every other age in between. They don’t meet a stranger when we go do our errands. Many times they’ve been given money from strangers just because they are so well mannered and made them feel special in some way. They definitely didn’t learn that in any public school. You, are right they really can not talk to each other anywhere or that often. I guess I really never thought of this till you mentioned it. Glad you put some light on this. Great post! 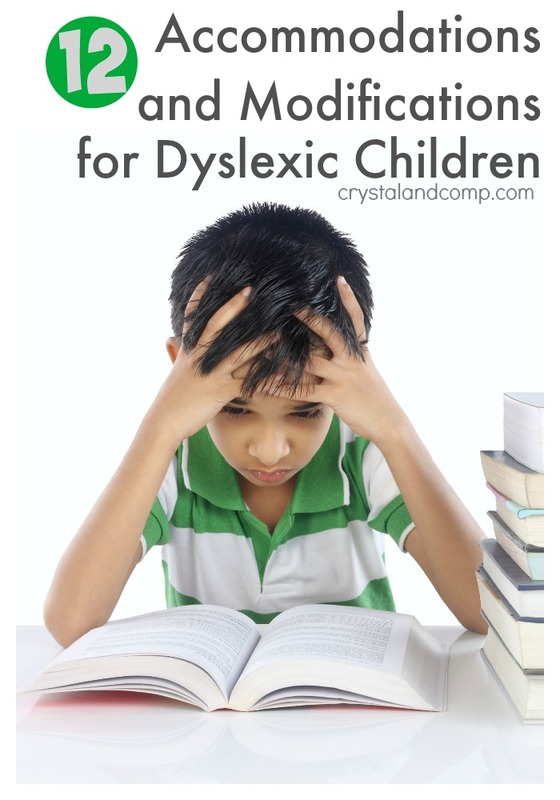 As a mom who is strongly considering homeschooling – thank you for your helpful information! I hate when people say that about homeschooled kids! My roommate in college was homeschooled and I think she had better social skills than I did! Thank you for Linking up with us at the Tips and Tricks Link Party! Thanks so much for sharing your awesome post with Full Plate Thursday. Hope you are having a great day and come back soon! Love this as it mirrors my thoughts about homeschooling, public schools and the whole socialization myth. My kids were in public schools (in 3 different states + Canada) for years before we pulled them out to homeschool them. We had the same experiences you mentioned here. No talking allowed during most of the school day. That’s at least 6 hours! In fact, my kids had to eat their lunches at their desks in complete silence. My kids experienced being bullied. My kids heard constant profanity in the halls. I could go on, but it only gets worse.